Wrocław (Wroclaw) is an excellent example of a multicultural metropolis situated at the interface of ethnically diverse areas. 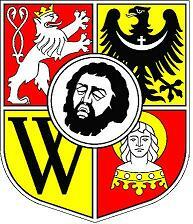 For a greater part of the city’s history, German was the dominant language in Wrocław. However, for several generations the city was home to the Korn publishing house, which printed many books in Polish (250 titles between 1732 and 1790). Here the German playwright Karl Holtei staged a play about the Polish national hero Tadeusz Kosciuszko in 1826. The Czechs have also played an important role in the city’s history (in 1335- 1526 Wrocław belonged to the Kingdom of Bohemia). As late as 1719, the great sculptor Johann Georg Urbanski of Bohemia was given the key to the city. Multiculturalism again left a very deep impress on the city’s character after the Second World War, when the city’s German population was largely replaced by people arriving from various regions of Poland, including those resettled from the eastern provinces of Poland taken over by the Soviet Union. In particular, many former citizens of Wilno (Vilnius) and Lwów (Lvov) settled here. With them came the great library collection of the Ossolinski Institution from Lvov, which found a new location in the magnificent Baroque edifice of the former monastery of the Red Star Knights of the Cross. Two other works of unique significance for Polish culture were transferred from Lvov: the statue of the leading Polish comic dramatist, Count Aleksander Fredro, and the Panorama of the Battle of Racławice, a monumental painting representing the victorious battle with the Russian forces fought by Tadeusz Kosciuszko on 4 April 1794, one of only several paintings of this kind to have survived in Europe until the present. It took over 35 years before it was possible to show the Panorama to the public, but today it is one of the city’s most popular tourist attractions. 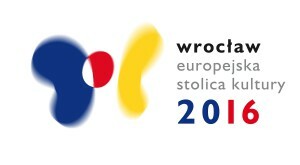 At present Wrocław is the fourth largest city in Poland, with a population of about 650,000. It is a major transportation hub with a junction of three international roads, two river ports, and an international airport. The city has a range of excellently developed industries: transportation, electrical equipment, machinery, metal constructions, and food processing. The municipal stadium of Wroclaw was one of the arenas for UEFA Euro 2012. Wrocław was one of 230 cities of the world in the Mercer’s ranking „The best cities to live” in 2015 and was, as the only Polish city on this list, said to be a city growing to be a business centre. 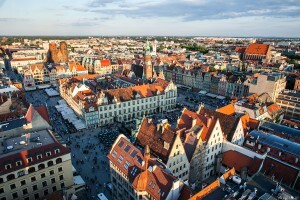 Wrocław was also the only Polish city in top 10 of The Guardian list of places worth visiting.